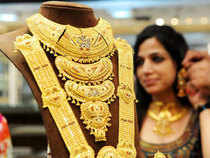 Kolkata: Gold demand in rural India and among the middle class is expected to increase following proposals in the interim budget, traders said. Rural India accounts for 60% of the 800-850 tonnes of gold consumed in the country. The government proposes to provide direct income support of Rs 6,000 per year to vulnerable landholding farmer families with cultivable land of up to 2 hectares. Vaibhav Saraf, director of Aisshpra Gems & Jewels, which caters primarily to the rural market, explained that farmers will be able to buy better raw material and this should lead to better yields. “This will improve their financial position and they are expected to have more disposable income in their hands. We cater to the agricultural market majorly and therefore it will impact sales positively,” he said. According to Sanjit Prasad, MD of the Indian Commodity Exchange, if better quality of produce comes into the market it will improve the commodity markets and help farmers in better price discovery. While there was optimism that finance for the gem and jewellery sector may improve in the coming months after curbs on some banks were lifted and the government infused capital in lenders, there was some dissatisfaction. “We are disappointed that the demand for decrease in import duty of raw materials like gold, silver, cut and polished diamonds and coloured gemstones were not included in the budget today. We hope that during the declaration of the full budget after elections the gems and jewellery sector demands will be addressed,” said Pramod Agarwal, chairman of the Gem & Jewellery Export Council.